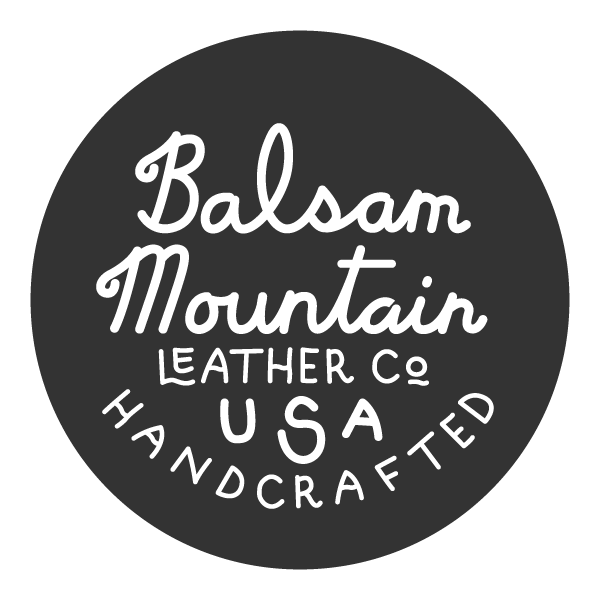 Wear | Balsam Mountain Leather Co.
Our materials are chosen for their durability and wear. We incorporate the unique characteristics of each leather hide to maximize use of this natural material. Once you take on ownership of a fine leather good, your life will be imprinted into the item through the way it changes shape and color. An individual patina will develop over time that reflects the course of the item in your life. Taking care of your leather goods will help insure a long life. Please note functional repairs may require a change to the design of the item. Forgive us that sometimes a repair may not be possible. Contact us for more information on repairs. VEGETABLE TANNED LEATHER is the most rigid and raw of full-grain leathers. Over time, exposure to sun and to oils in your hands from general use will darken this leather. CHROME TANNED LEATHER (often Horween Chromexcel / CXL) is stuffed with waxes and tallows for a soft, water-resistant finish. When chrome tanned leather is stretched or scratched, the waxes are displaced showing a color change – this is a desirable trait called pull-up. AGED BRASS HARDWARE & COPPER RIVETS are solid and used for durability. Each casting has a unique shape and patina that will continue to develop as you use the piece. Most brass hardware is aged to an antiqued brass color to begin the patina process. Leather takes on oils from your hands, burnishes with friction, and darkens with exposure to sunlight. 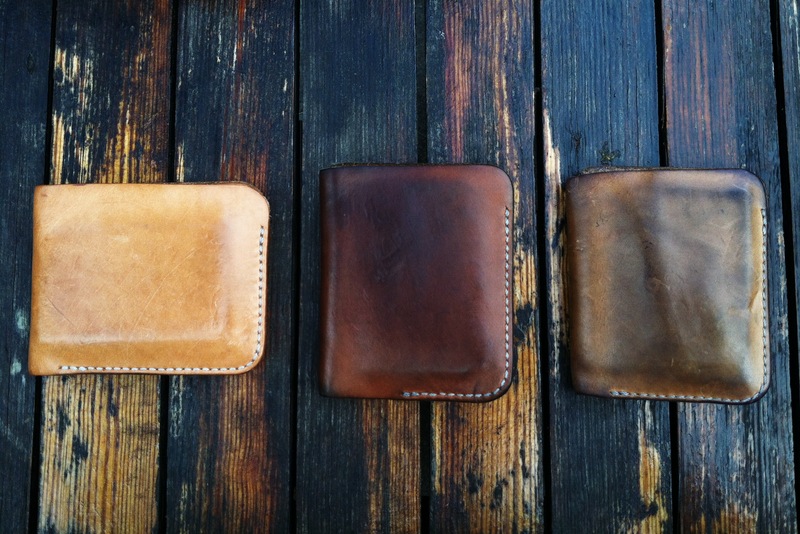 Each type of leather ages differently and will reflect your use. If you get caught in the rain, use your bag daily, or even just handle your wallet after cooking with olive oil, you will see that your leather goods will darken slowly. 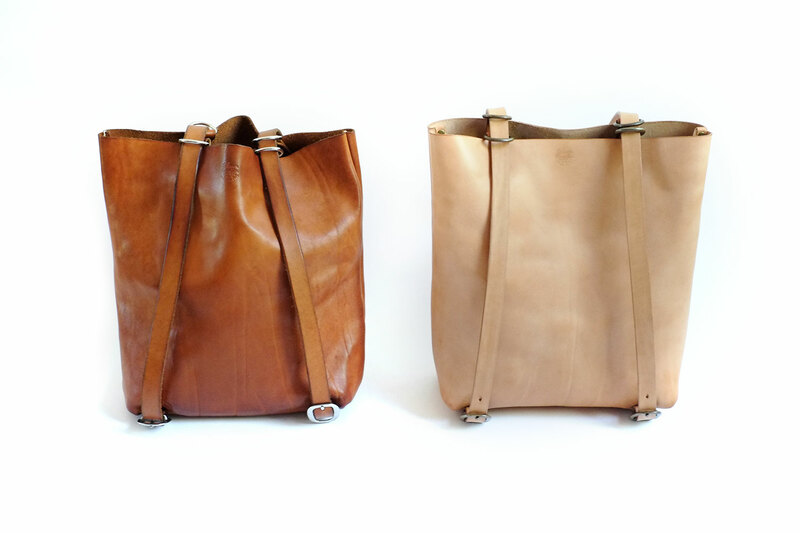 Natural vegetable tanned leathers like the ones shown here will change color more significantly than other types of leather. 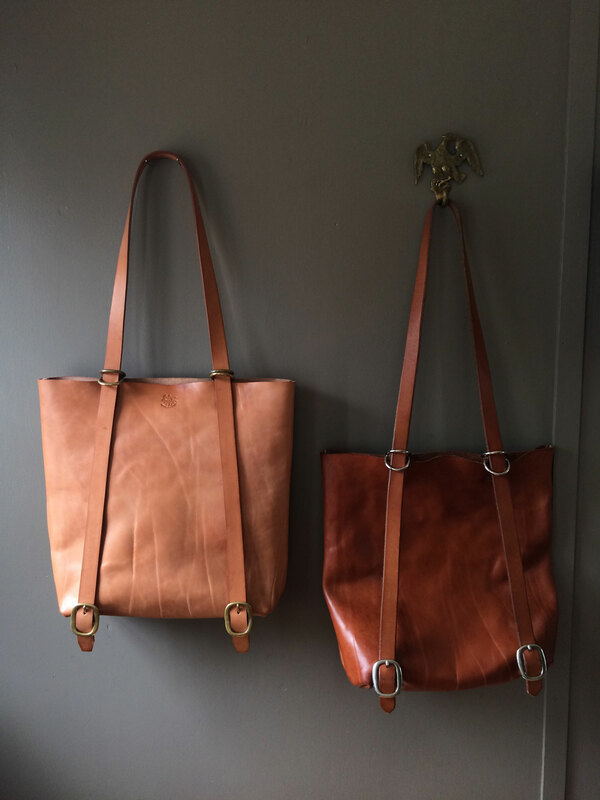 This photo shows a new bag and a bag aged just under 2 years of heavy use. The life of the product is your own. Wear it well. We hope the things you carry serve you well. It can be difficult to get the full idea of things online. If you'd like assistance finding the right item for you, let's talk. © Balsam Mountain Leather Co.